Login to view and update your profile, access resources and manage your registration with Fitness Australia. We acknowledge the traditional custodians of the land on which we work. We pay our respects to Aboriginal and Torres Strait Islander elders, both past and present, and celebrate their cultural contribution to society. 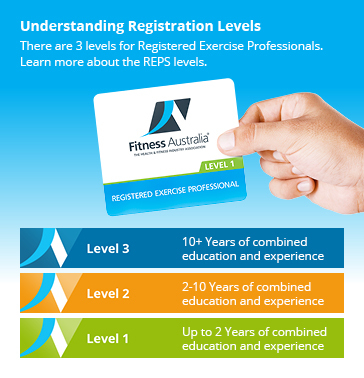 Important Statement: From 1 August 2017, a Registered Exercise Professional (REP) will be called an AusREP. We have not amended all the documents to reflect the change. If you require an updated version or have any queries in relation to the changes, please contact us on 1300 211 311.